Now that they finally have Alexa support, Amazon’s excellent lineup of budget tablets has matured into a much more tantalising purchase. But, up until now, you’d be forced to press a button to get Alexa’s silky voice flowing. That’s all changed. With the new and improved Fire HD 10, Amazon’s own digital assistant is hands-free on a tablet for the very first time, transforming the firm’s latest tablet into a much cheaper alternative to the Echo Show. You’re getting plenty of bang for your buck with Amazon’s new and improved Fire HD 10. This super-cheap, 10.1in tablet features a Full HD screen for the first time, with a quad-core 1.8GHz processor, 2GB of RAM and either 32 or 64GB of onboard storage, expandable up to 256GB via microSD. Its headline feature is hands-free Alexa. You no longer have to press a button to activate Amazon’s digital assistant, she’s always listening and responding to your commands. Amazon’s latest Fire HD 10 starts at just £150 for the 32GB model and £180 for the 64GB variant. It can be picked up in a choice of three different colours: Black, Marine Blue and Punch Red. Amazon’s invasive lockscreen ads are switched on by default, but you can pay an extra £10 to remove them. At that price, the HD 10 faces stiff competition from the 4G-enabled Vodafone Smart Tab N8 (£129), the 10.1in Acer Iconia Tab 10 (£170) and the smaller Amazon Fire HD 8 starts at £80. 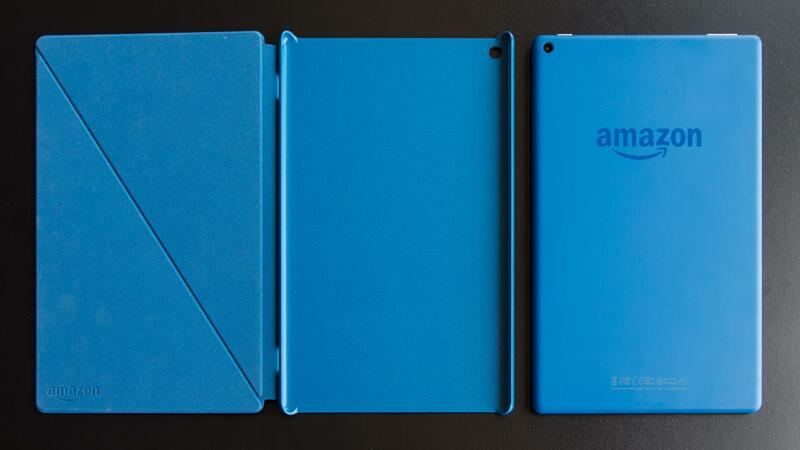 Amazon’s latest Fire HD 10 isn’t particularly inviting from the outside. Physically, it’s no different to the model it replaces, with the same uninvitingly bland plastic shell despite the addition of two new paint jobs: “marine blue” and “punch red”. What’s special about it is what the folks at Amazon have tinkered with on the inside. Despite the zero love that’s been given to its exterior, the HD 10 has seen a good bump in specifications over its predecessor. It has a quad-core 1.8GHz CPU that’s “30% more powerful” than its predecessor’s, with double the amount of RAM and a bump in battery size. Amazon’s latest reached 11hrs 22mins in our continuous video playback test, a good two-hour improvement over its predecessor. Should you require extra juice, you can use a power bank to charge the tablet via the microUSB port. Audio has improved as well, as, with the addition of Dolby Atmos support, the stereo-speakers are loud and provide an excellent sound quality – essential if you plan on watching movies and shows through the tablet’s speakers. When held vertically, these are positioned to the left-hand side of the tablet. Of course, if you don’t plan on disturbing others around you, its 3.5mm jack can be used to connect up your headphones. You’ll find an uninspiring 2-megapixel camera on the rear, and a VGA selfie camera on the front. Neither are particularly good, but are useful to have for the occasional video call. 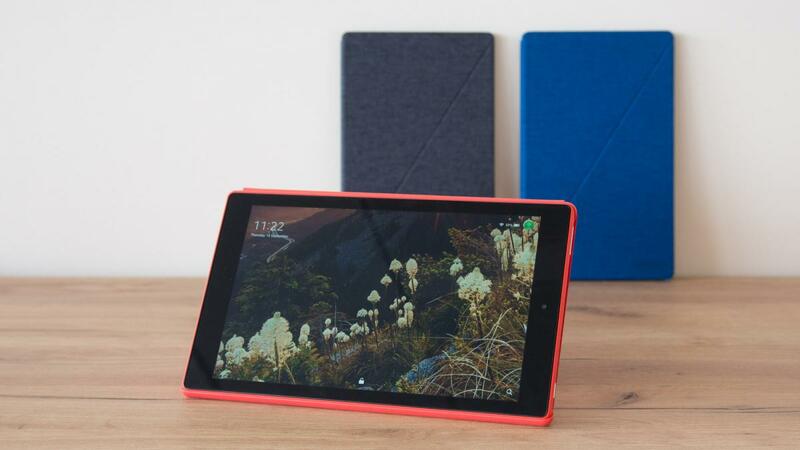 The Fire HD 10 comes with either 32GB or 64GB of internal storage, expandable up to 256GB via microSD. For connectivity, the tablet uses dual-band Wi-Fi 802.11ac and Bluetooth 4.1. 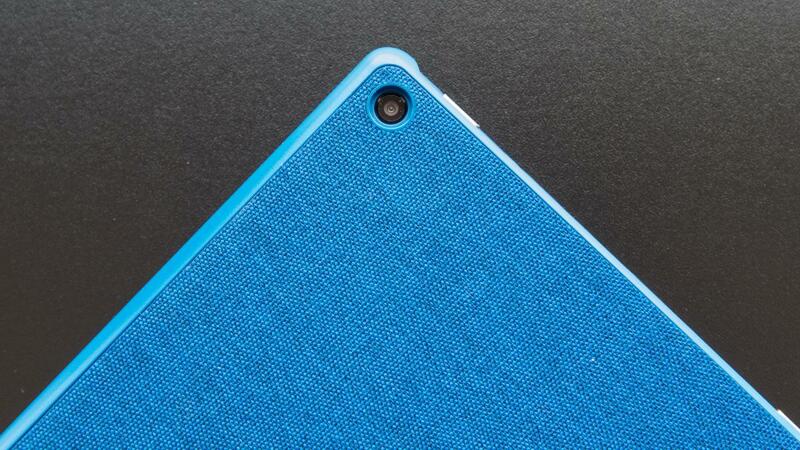 Unlike the Vodafone Smart Tab N8, there’s no wireless data on the HD 10. Front and centre is a Full HD (1,920 x 1,080) IPS display, up from last year’s 1,280 x 800 resolution panel. It’s a lot brighter too, at a sunlight-friendly 455cd/m2, as opposed to last year’s 375cd/m2. Images aren’t as vibrant as I’d prefer, covering only 84.1% of the sRGB colour gamut. It doesn’t quite dazzle like 2017 flagship smartphones do, but it’s a mite bit better than the Lenovo Tab 4 8 Plus’ exceedingly dull display. 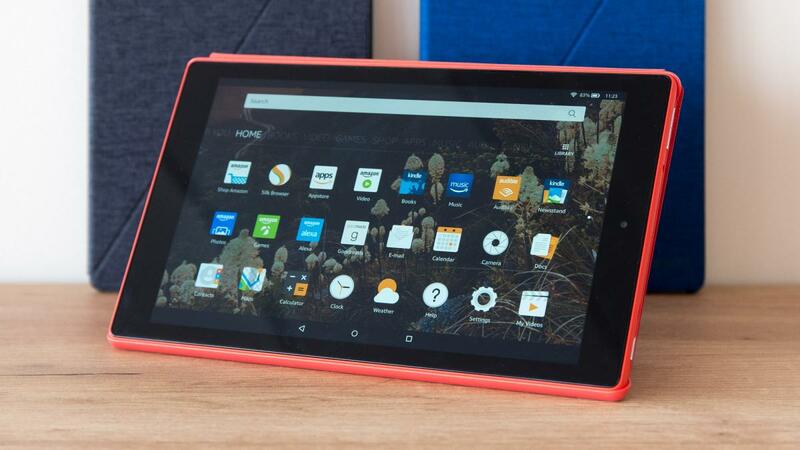 The Fire HD 10 runs Amazon’s own Android-based Fire OS (Fire OS 5.5), with Amazon’s Appstore front and centre. Little has changed, although there is a new addition to the Fire OS’ UI called “For You”, which provides recommendations for similar items you’ve purchased. It’s a minor feature, but a helpful one. Like the Fire 7 and Fire HD 8 refreshes before it, Amazon’s new Fire HD 10 includes Alexa integration as standard. But, something is different this time: Alexa finally goes hands-free. In short, you no longer have to hold down the home button for Amazon’s assistant to start responding to your orders. You won’t find a fancy far-field microphone array on the tablet as with the Echo and Echo Dot, so you won’t be able to bark orders from across the room but provided you’re close enough to the Fire HD 10, Alexa is at your command. The usual suite of commands is at your disposal, too. Simply ask Alexa to tell you the weather, show sports fixtures or play the latest TV show on Amazon Instant Video and she’ll do just that. It’s a voice command system that just works, and you don’t even have to unlock the tablet to get her going. And Alexa responded to my voice commands without any hiccups, even when I was sitting 10m away from it – quite surprising, given the tablet only has a solitary microphone. You can, like with the Echo devices, disable the hands-free option, by simply disabling it through the drop-down notification bar or through the tablet’s settings. The new HD 10 features a quad-core 1.8GHz MediaTek MT8173 processor and 2GB of RAM, an improvement over the 1.5GHz chip and 1GB of RAM of its predecessor. 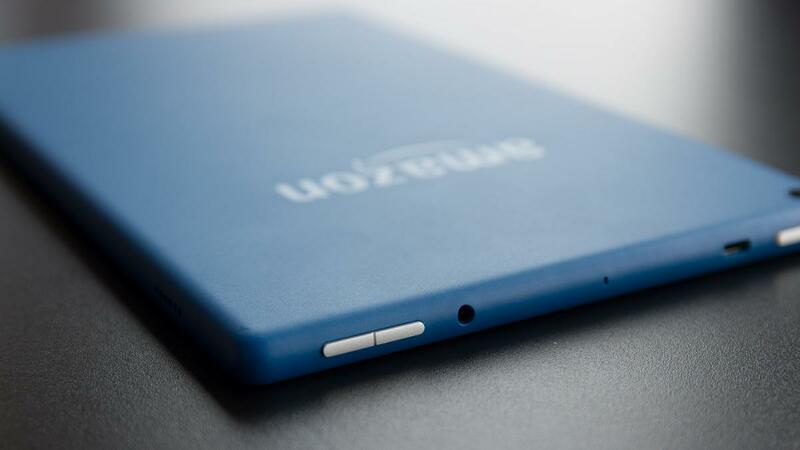 This makes for a tablet that’s far better suited for more demanding applications and light multitasking. In the rigorous cross-platform Geekbench 3 benchmark, the HD10 managed a single-core score of 1,501 and multi-core result of 3,096. By comparison, that’s a good 50% bump in both multi-core and single-core performance over last year’s effort. When it comes to gaming mind you, there aren’t any noticeable signs of improvement. In the GFXBench Manhattan 3.0 test, the HD 10 managed an average of 9.5fps. 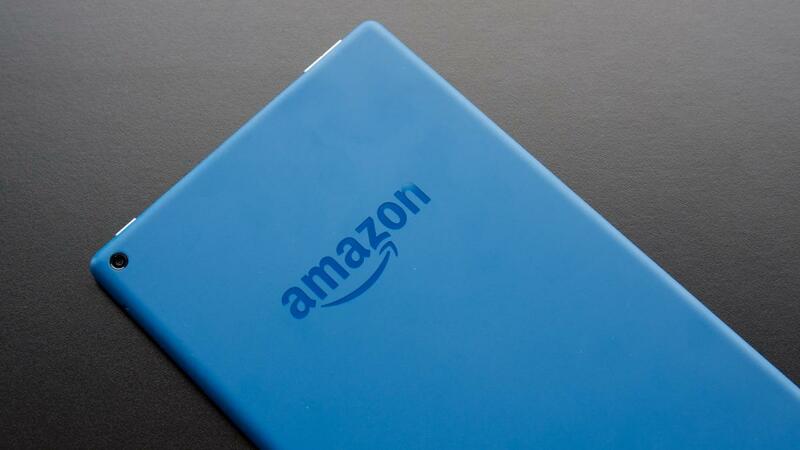 Once again, Amazon has cooked up a fantastically-priced tablet with its newest Fire HD 10. For all its added improvements – a Full HD screen, faster processor, twice the storage and double the RAM, the 32GB model is also a good £20 cheaper than last year’s effort, which also had half the amount of storage. Add hands-free Alexa into the mix and you’re looking at a product that’s a no-brainer for anyone looking for a cheap, no-frills tablet with little in the way of competition.